I wanted to send you a quick note regarding yesterday's ANC 4A regular public meeting. I was only able to make the end of the meeting, so really I am just reporting on the status of the Airbnb bill. We are concerned about "party houses." The proposed bill protects against that. The rental limitation to 15 nights is too low. Residents should be able to rent out their homes if they go away for the summer or winter, or for example a 2-4 month or more range. At yesterday's meeting, Commissioner Black proposed a Resolution supporting the proposed bill, but with a 30-day limit on "vacation rentals" (as defined in the proposed bill). I appeared before the ANC yesterday and conveyed that Crestwood residents support the proposed bill, but agreed that the 15-day limit on "vacation rentals" is too low and should be raised to 30 days. I also conveyed that my understanding of the bill is that it only prohibits "short term" rentals, defined as under 30 days. My reading of the proposed bill is thatit does not prohibit a homeowner from renting out their home, on Airbnb or VRBO, etc., for more than 30 days under a single rental (as opposed to, for example, multiple 4 week rentals). What this means is that if you go away for the summer and want to do a house swap, and enter into a 3 month rental agreement with someone, that would not be prohibited. And, under the "vacation rental" provision, you could do short term (say one-week) rentals of your home while you are away for up to 30 days. And, if the homeowner is present at the property, they can rent out a room or basement apartment for as short or long as they want. I believe that the change to 30 days and this reading of the bill would satisfy the majority of the concerns raised by Crestwood residents. The ANC passed the Resolution. However, I believe that there is a lot of confusion over what this bill means. I was told yesterday that the DC Council will be hearing additional testimony regarding the proposed bill in the coming months. We'll keep you posted. WHAT DOES IT MEAN WHEN AN ANC PASSES A RESOLUTION? ANCs can make recommendations that city agencies have to give “great weight” to when making decisions. Great weight requires a government agency to respond, in writing, to concerns raised by an ANC. While great weight demands that agencies explain their course of action, it doesn’t actually require an agency to change its course of action. An ANC is a non-partisan, neighborhood body made up of locally elected representatives called Advisory Neighborhood Commissioners. They are a unique feature of the District's Home Rule Charter.The ANCs' main job is to be their neighborhood's official voice in advising the District government (and Federal agencies) on things that affect their neighborhoods. ANC Single Member District (SMD) 4A08 covers all of Crestwood and is the equivalent of census tract 26. 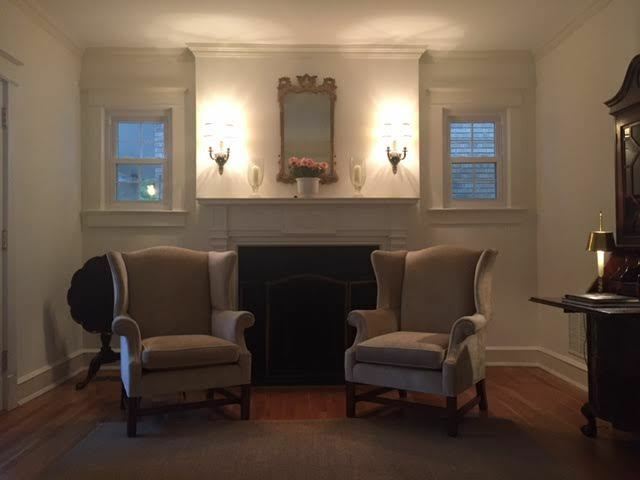 CasA Crestwood Fourth Sneak Peek! Nestled right at the entrance of the Crestwood neighborhood is the stunning Russian Orthodox Cathedral of St. John the Baptist, built in 1958. The church consists of approximately 400 members, including some of the original founders who helped establish the parish in 1949. Everything about the church edifice speaks of a rich Russian ecclesiastical heritage. The building is executed in the 17th-century Muscovite-Yaroslav-style. 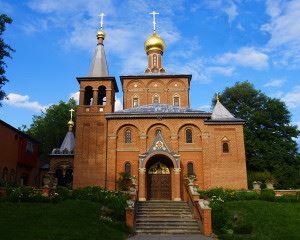 Gilded onion domes, each crowned with a traditional Russian three-barred cross, a belfry, and icons of scenes from the life of St. John the Baptist above the three doors adorn the exterior. 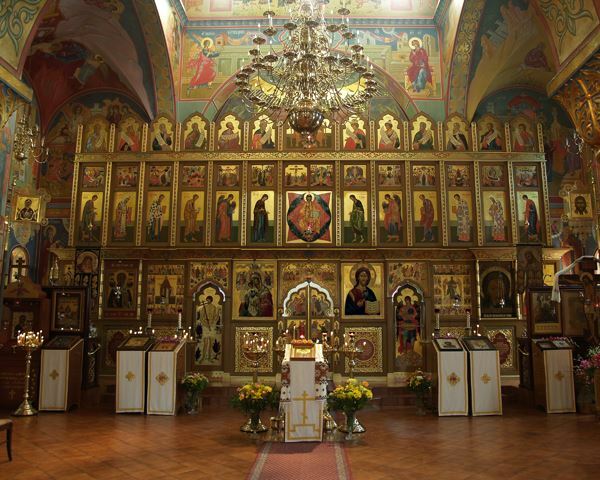 Murals and numerous centuries-old icons and an imposing four-tiered iconostasis make up the interior. This is a true neighborhood jewel that folks will not want to miss! 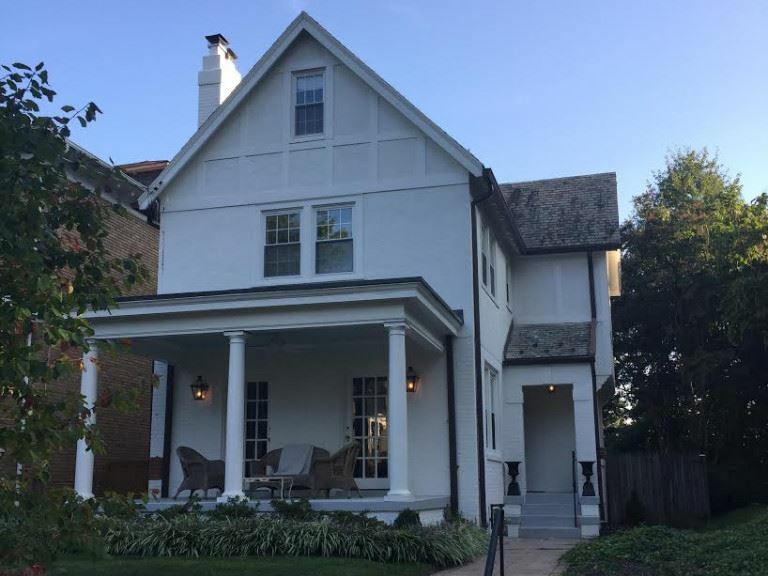 CasA Crestwood is an annual neighborhood tour of homes raising funds for the prevention of homelessness in DC, giving you the opportunity to scratch the itch and get inside some of the dreamy homes (and a church!) of Crestwood. Read more about the amazing organization that you will be supporting by attending CasA Crestwood, Thrive DC. CasA Crestwood Third Sneak Peek! Third Sneak Peek - 1920s Elegance! 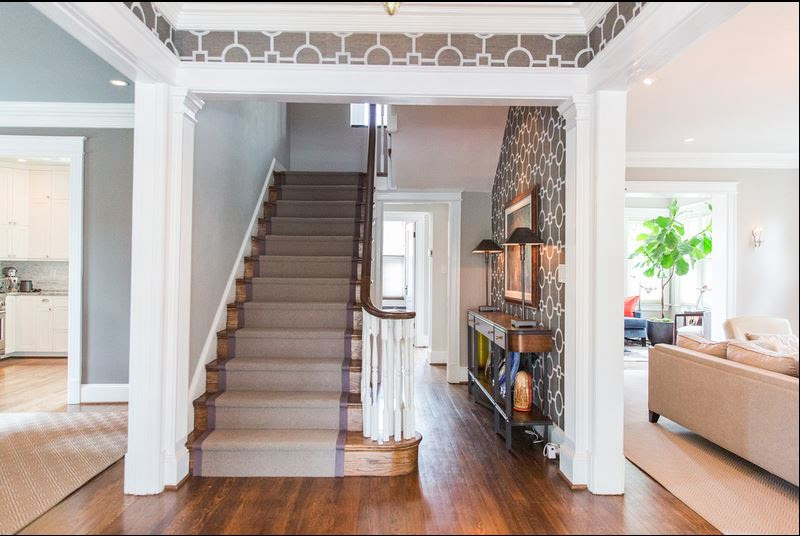 Yet they were not hypnotized completely by its come hither look and completed a 3 year renovation in 2016 which included a stunning slate roof, bubble bath worthy renovated attic bathroom with cast iron tub, a kitchen designed to shine with double-height inset white cabinets, refinished hardwood floors throughout and new moldings milled to match originals in the living room, attic bathroom and foyer. They see their role as stewards of this house; to restore it in honor of the ancestors and to treasure the home for it's future. The interior is an extension of this philosophy and they searched high and lower for everlasting, classic pieces that evoke anecdotes of another era. Coupled with a salvaged mantle from Baltimore installed in the living room they have created a warm and gracious home ensconced in around-the-clock beauty. CasA Crestwood 2017 - Second Sneak Peek! He did a number of renovations including designing a chef-inspired kitchen with white Shaker-style cabinetry and custom upper cabinets that reach the 10’ ceilings. Then he made old new with a travertine lead walk, refinished hardwood floors, period sconce lighting, half bath on the main level, and designer bathrooms. And if that had not been enough to seal the entanglement, the siren call of the yard would have: Set on a 7,600 foot lot the captivating garden oasis is anchored by towering oak trees and a gorgeous enclosed porch. As a realtor, many homes have called Mark's name, but not till this 1921 Wardman Colonial Home beckoned was he ready to settle down. 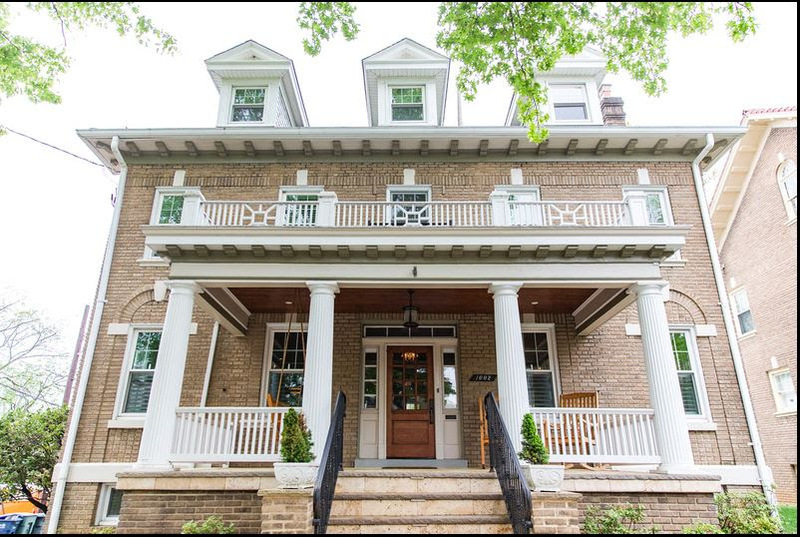 CasA Crestwood is an annual neighborhood tour of homes raising funds for the prevention of homelessness in DC, giving you the opportunity to scratch the itch and get inside some of the dreamy homes (and a church!) of Crestwood. 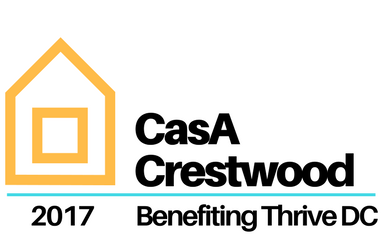 Read more about the amazing organization that you will be supporting by attending CasA Crestwood, Thrive. We had a great joint SMD 4A08/Crestwood Citizens Association meeting last night! Many neighbors joined us to discuss and comment on a variety of issues, and we want to provide the entire neighborhood with a summary of the discussions. We don't want "party houses in Crestwood." The proposed bill protects against that. What if a homeowner wants to go away for the whole summer and rent out their house on Airbnb? This would prohibit that? What about if someone wants to do a house swap for an extended period - where only one person will be renting for the whole time? Is that not allowed? The Crestwood Citizens Association has been asked by a Crestwood resident to issue a Resolution supporting the bill, except for the 15 day maximum - the proposed CCA Resolution would allow for a maximum of 30 days. We will be having an online discussion of what position Crestwood would like to take. If you would like to join the discussion, please click here. You will have to register in order to join the discussion (this prevents anonymous users from posting potentially inflammatory posts). Or, you can send an email with your thoughts to info@crestwooddc.org. Cecilia Lane, Watershed Protection Division, Department of Energy & Environment, presented a 30% design for a project designed to combat water runoff at the Carter Barron tennis stadium site. The idea is to get the water into the ground rather than have it go immediately into a storm drain. They want to capture 90% of the water from each rain even to redistribute water to ground. The don’t expect any road closures. We did not hear from the community liaison for the Homeland Security and Emergency Management Agency. However, Commissioner Black noted that we should all think about where people in the neighborhood would go in the event of an emergency (earthquake, flood, etc. ), how we would protect our older adults, whether we all have individual emergency plans if we lose electricity. Commissioner Black also noted that we will look into safety issues especially given the recent home invasion, as well as attempted break ins. If there are any potholes on your block, let Commissioner Black know. Is there any way to encourage the repair of Broad Branch Road, at least from Beach to Brandywine, at the same time that Beach Drive is closed, so that we won't have another disruption later? A resident requested a neighborhood watch sign in the 1800 block of Allison. Is there any way to prohibit solicitors anywhere in the neighborhood? There are pharmacies that deliver prescriptions to Crestwood, including Metro Care Pharmacy and Safeway. October 22 - CasA Crestwood!!! Register here. The Green Team may try to do a Fall Clean Up - ivy cutting. November 22 - Crestwood Turkey Trot - If you want to walk or run with a group to train before the 5K run/walk, you’re invited to join a group that meets at 8AM on Saturdays between now and Thanksgiving. ALL are welcome. Bring a friend! The group meets Saturdays at 8am on Varnum Street near Grace Church.Please email Pastor Wendy Moen for more details if you need them:gracepastorwendym@gmail.com. We are re-forming the Aging-In-Place action team - but still need team leads for the Social Committee, Public Safety Team, and the DC Issues committee. If you would like to help out, please email info@crestwooddc.org. We had a gorgeous day and great turnout for this year's picnic. We also had a very brief appearance from our friends at the Fire Department before they were called away on a call. Mayor Bowser and Councilmember Todd and their staffs were able to meet and mingle with Crestwood neighbors, while kids biked and scooted and ate and drank! It's true that the smell of a grill can spark up nostalgia! Thanks to Alice Sessions for hosting us with her usual generosity. You can view photos of the picnic here. Join us for an annual Crestwood tradition: the Sunday After Labor Day Picnic! Please bring a favorite dish to share - appetizer, entree, salad, vegetable or dessert - whatever you like! We'll have a grill going and will provide water, cutlery and paper products. We'll also provide condiments for burgers and hot dogs and ice for drinks, but please feel free to bring meat to grill and buns, and your own coolers and beverages. Former residents love to come, too so be sure and remind them of the date and time! By now you should have received in your mailbox (the real one) or this weekend will be receiving the August 2017 edition of The Crest, the newsletter of the Crestwood Citizens Association. We hope you get a chance to read it, including the coupon for a free dessert at Red Rocks Bistro! Plus, there is a fascinating article by CCA Vice President and Historian David Swerdloff entitled August 1907: The Boondoggle That Made Crestwood Possible. You can also view The Crest on our website. Also, please see save the date - September 10 at 4pm - for one of the best-attended CCA events of the year - the Sunday After Labor Day Picnic! More information is on page 1 of the newsletter. And of course we can't forget - have you paid your dues? You can do it online! Become a member or renew at crestwooddc.org/join. Welcome to our many new neighbors who recently moved here and to our new births! As we gather together, we pause to give thanks for living in this wonderful community. We may not be able to save the world, but we can brighten our little corner of it. We are all in this together. Summer Greetings from SMD 4A08! ANC 4A meets on the first Tuesday of every month from September to June. SMD 4A08 meets four times a year in conjunction with the Crestwood Citizens Association. The meetings are held in September, January, March and May. Changes to the DC Zoning Comprehensive Plan and regulations. The city made changes to the use of residential housing to permit rentals (accessory dwellings), eliminate parking, change the building height and density requirements in some areas, allow grocery stores and change the rules for at home businesses. ANC 4A questioned why some of these changes are necessary and what the impact will be on residents in single-family, primarily residential areas, like ours, which is zoned R-1 and R-2. The ANC passed a resolution. Commissioner Black participated at the meetings before the Office of Planning. New house construction like the ones added to Mathewson Drive and on Trumbull. The “doggy poop” signs and bags were also financed through ANC 4A for the benefit of the 4A08 area. The ANC also pushed for the repairs to the water-overflow at 17th and Taylor Streets, NW. We provided comments on the proposed amendments to the Comprehensive Plan. We are looking to revise our neighborhood plan which is on the website. We are trying to identify locations for a tot lot in Crestwood. Ownership of the parcel near the Triangle is uncertain. Nothing new. We agreed that for safety reasons, there should be a pedestrian path on Blagden and on Mathewson. The location and design is still being considered. The city is supposed to provide us with revised plans for our comments. This matter will be addressed by the ANC SMD 4A. We worked with the city in its plans and operation of the annual Tennis Tournament, July 29 to August 4th. We are trying to get more information regarding DC Water’s discharging of water at the corner of Shepherd and Argyle around 9:30 AM each day. We are trying to work with neighbors to assist them in fighting foreclosures and tax sales and letting neighbors know how they can challenge their real estate assessments. We continued to urge the city to address the dangerous dead city trees and overhanging branches on a number of our Crestwood streets. We had the DC Arborist attend one of our meetings. Grace Church. The Church sought and was granted historic designation. We try to raise awareness about invasive plants and animals. We also try to raise awareness about avoiding scams. Beware of folks selling items or contracts door-to-door. Ask for their DC license number. Don’t agree to add on fees, like a $150 cancellation fee. Be very careful in giving out your email or personal information. This is often used as a phishing or marketing tool. Ironically, one year when the Crestwood Citizens Association Board held its November meeting, it met in candlelight – because the lights went out at 5:07 PM and stayed out for 2 hours. PEPCO has improved, after the neighborhood complained - that's the power of civic involvement. PEPCO reliability and crime deterrence remain priorities. Street repairs and park access are also important. Accessory dwellings, zoning, AirBNB issues. We are working on making sure restoration of the entire road network within Rock Creek Park is done sooner rather than later and remains available for our use. The city is still studying alternatives uses which might delay or stop the needed water remediation and repairs or change the configuration away from being a two-lane road for cars. We are concerned that the city is wasting time and money studying “alternatives” that are not feasible or beneficial for Broad Branch. We are concerned that the city did not accept our recommended approach with the repair of Beach Drive – which might mean that we will be land-locked when the repairs continue, depriving us of access via Blagden Avenue to Beach Drive. Friendly reminders: Please do not leave valuables in your car. Please keep the noise down, restrain your dogs and, if you must use leaf blowers, look for quieter models. Nineteenth Street Baptist Church, 4606 16th Street, NW. invites the neighborhood for games and activities for ALL ages. There will be a bazaar, games, bake sale, face painting, food, music, ponies and free health screenings. Monthly crime statistics are posted on crestwood-dc.org. Crestwood remains within PSA 404. PSA 404 is led by the Fourth District Commander Wil Manlapaz and Captain Juanita Mitchell. The latest monthly crime statistics can be found here. 5. Water Quality / Environmental Justice issues. Please see the message below from Samantha Nolan, the Citywide Crime Prevention/Neighborhood Watch Trainer. I have attended one of her trainings, and there are a ton of great tips to stay safe, and I have used many of them them at my own home. I encourage everyone to attend if they can. Let me know if you have any questions. Come learn ways to decrease the likelihood of your becoming a crime victim. About 80% of crime is preventable through simple changes in behavior. Pictures of crime scenes will be explained as to the behavior that caused the crime to be committed at that location, or on a particular person. If we can eliminate the Crimes of Opportunity, our officers can spend more time working to solve and prevent more violent crimes rather than sitting in squad cars writing reports for laptops left in cars and then stolen. Forming a Neighborhood Watch on your block can help eliminate crime. If everyone on the block knows the residents on the block, and a buddy system is established, individuals who do not live on the block will become more obvious. If they are entering a home where neighbors know they do not belong, or where neighbors are away on vacation, the homeowners can be called to see if everything is ok, and if not, then call 911 to report a possible crime in progress. By forming a Neighborhood Watch, neighbors help neighbors not only by watching their homes, but by being available during emergencies, illnesses, lock-outs, and gatherings. Neighbors who care for each other are more likely to get involved when a crime is being committed by observing and reporting. As block captains, however, we are not vigilantes, but we are vigilant and report crimes to MPD. If you would like to learn ways to help our city decrease crime and at the same time decrease your likelihood of becoming a crime victim, please attend this training. To attend, please send your name to me, Samantha Nolan, Citywide Crime Prevention/Neighborhood Watch Trainer at NolanTutor@yahoo.com and specify which training you would like to attend. I look forward to meeting you at a training.